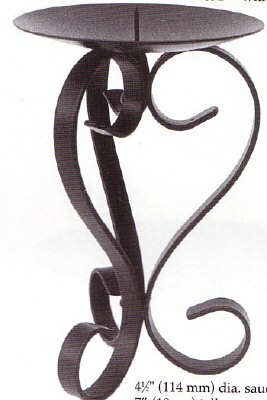 Very robust strong 7 inch (18 cm) tall scroll stand for pillar candles etc. Very robust. antique copper (note antique copper is black with flecks of copper gold through it giving it a rustic appearance. Saucer size 4.5 inches (114 mm) diameter. spiked.